Noam Chomsky‘s talk called “Controlling the Public Mind”, taped March 1, 1996, sponsored by the B.C. Federation of Labour and the Vancouver and District Labour Council. Over 1000 people came to hear Dr. Chomsky at the Hotel Vancouver on a cold rainy Sunday night. His flight from Boston was delayed and he didn’t arrive till after 11 pm, for an event scheduled to begin at 7 pm. Nevertheless the room was full when he began speaking. Nearly everyone had waited over 4 hours to hear him. This lecture, and following question and answer session, provides an introduction to, and synthesis of, Noam Chomsky’s key thinking on the media, propaganda, and its pivotal role in the relentless class struggle being waged daily. 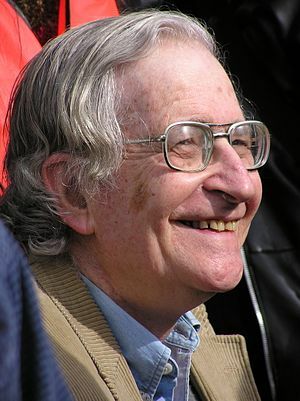 Noam Chomsky is an MIT professor, and the author of dozens of books and CDs on American foreign policy, international affairs, human rights, the media, linguistics and the mind. With all the Earth Day brouhaha, you’d think the old planet would be out of the endangered, environmental woods – at least those few healthy, sustainable ones not under siege. Media venues small and large declared all the “great progress,” implying light at the end of the eco-tunnel. But Earth Day didn’t come close to the macro bedrock, focusing instead on positive but micro dimensions, like recycling, select endangered species, or buying greener products. All good, all not close to enough. When do we in earnest confront what once was called the “Population Bomb,” now linked to an equally dire problem, the Climate Control Bomb, itself spawned by the ever-growing Industrial Pollution-Eternal Growth Bombs? The United States takes the matter of three-headed babies very seriously. This is another article about the H1N1 Swine Flu virus. It isn’t an article about who made it or whether or not the New World Order is trying to kill off 90% of the Earth’s human population by either the virus or the vaccination. 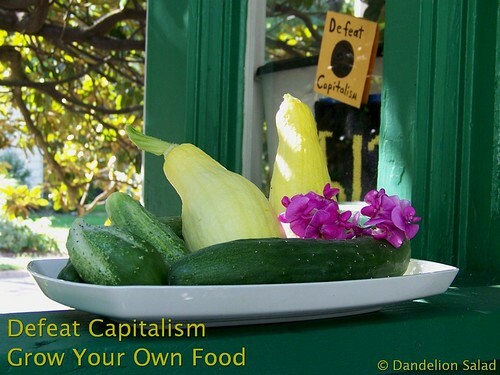 There are countless articles about that on countless web pages in almost every nation on Earth. The best known is the information being put out by Alex Jones’s site “Infowars”. According to an article released by Xinhua News Agency and picked up by infowars, the headline reads All Britons to be vaccinated against A/H1N1 flu. The first line in the story however reads “All Britons could be vaccinated against the A/H1N1 flu as the number of confirmed cases in Britain is moving closer toward 10,000, health authorities said Sunday”. That is quite a difference from the headline. Maybe it was a mistake or maybe it was an attempt to sensationalize the story in order to draw in more readers. It really didn’t matter anyway; the stories circulating around this particular virus are garnering a lot of attention. One part of the story on the A/H1N1 flu is that it was manmade. I put “H1N1 virus manmade” into a search engine and came up with hundreds of hits about it. The first thing that comes to mind if you actually believe it is manmade, is why would anyone wish to make it? If you really think about it, there are many reasons, most of them not so good. One theory is that it was inadvertently made while researching the DNA in other viruses. Some theories claim that the people who really control this planet, the New World Order or a reasonable facsimile, actually made it to bring down the population of the planet to a level that could be sustainable. There are many projections that claim the population will be too high to sustain due to the Earth’s dwindling resources in just a few decades. Before the meeting began, Bilderberg investigative journalist Daniel Estulin reported on the main item of the agenda, which was leaked to him by his sources inside. Though such reports cannot be verified, his sources, along with those of veteran Bilderberg tracker, Jim Tucker, have proven to be shockingly accurate in the past. Apparently, the main topic of discussion at this years meeting was to address the economic crisis, in terms of undertaking, “Either a prolonged, agonizing depression that dooms the world to decades of stagnation, decline and poverty … or an intense-but-shorter depression that paves the way for a new sustainable economic world order, with less sovereignty but more efficiency.” Other items on the agenda included a plan to “continue to deceive millions of savers and investors who believe the hype about the supposed up-turn in the economy. They are about to be set up for massive losses and searing financial pain in the months ahead,” and “There will be a final push for the enactment of Lisbon Treaty, pending on Irish voting YES on the treaty in Sept or October,” which would give the European Union massive powers over its member nations, essentially making it a supranational regional government, with each country relegated to more of a provincial status. It is not as bad as you might imagine – it’s worse, and before you bury your heads in the sands of collective denial, please consider how it is coming about. The truth will set you free, but first it will probably make you ill.
We have had it too easy with cheap energy for a century and the cheap part is going to disappear. Quickly. Energy is the ubiquitous part of everything we consume, and liquid fuel is getting scarce. The easy part is to understand how we got to where we are. The difficult part is predicting how we can possibly manage to make our way out of this one. It will draw on our deepest resolve and wisdom, and probably require a “Copernican” shift in our thinking (Copernicus was the first astronomer to prove scientifically that the sun rather than the Earth was at the centre of our cosmic system). We seem to have scientific prowess, but there’s no time for self-congratulation. This time the solutions are the cause of a much bigger problem. Our current pursuit of growth and the elevation of human material wants above all else are the raison d’être of the problem. We promote consumption and ignore efficiency. We live as though there is no tomorrow, and the way we are going there probably won’t be. BEIJING — A Muslim Uighur woman who’s more than six months pregnant remained under watch in a hospital in China’s far northwest Friday awaiting a forced abortion by authorities who don’t want her to have a third child. Any government having the power to prohibit abortions also has the power to require abortions. Any government having the power to prohibit birth control also has the power to forcibly sterilize women (and men).